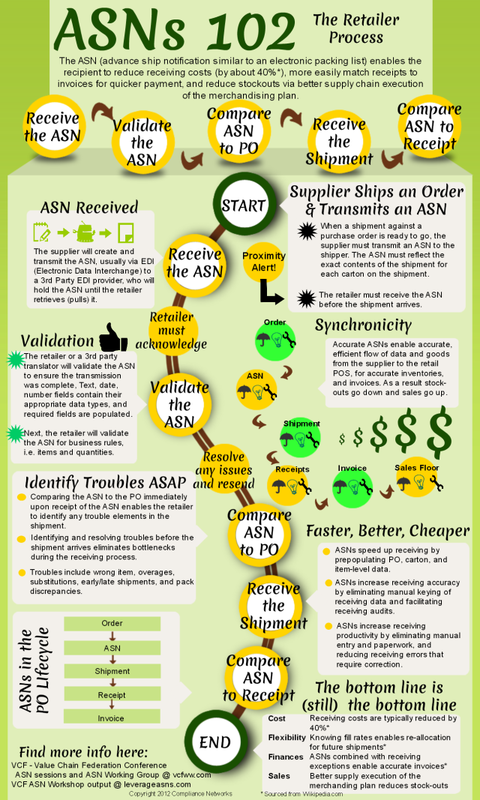 This Compliance Networks infographic takes a look at ASNs, advanced ship notifications similar to an electronic packing list that enable recipients to reduce receiving costs, more easily match receipts to invoices for quicker payment, and reduce stockouts via better supply chain execution of the merchandising plan. This infographic looks specifically at the retailer side of the shipping equation involving ASNs. Click here for our infographic on the Supplier Process.